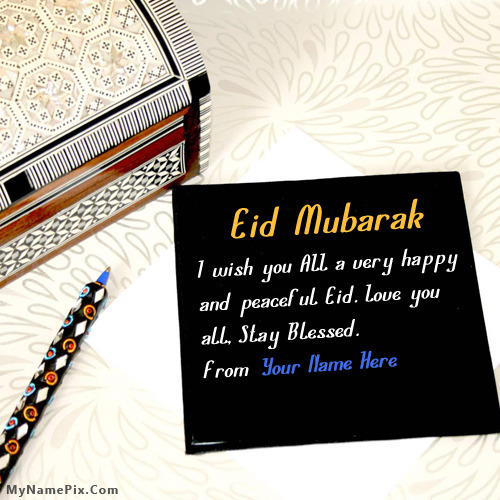 Write your and others name on Best Ever Happy Eid Greetings in beautiful style. Best app to write names on beautiful collection of Eid ul Fitr. Personalize your name in a simple fast way. You will really enjoy it.